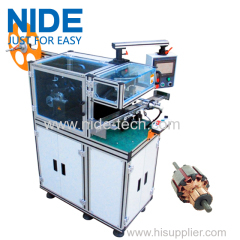 wedge insertion machine is used after rotor winding process. It can insert wedge into rotor slot. 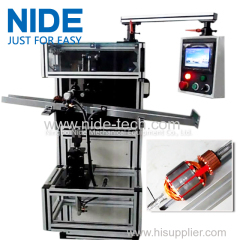 The armature wedge inserting machine is suitable for home appliance, car motor, and power tooling motor armature. 3.The Efficiency is7S/pc, if slot number is 12. 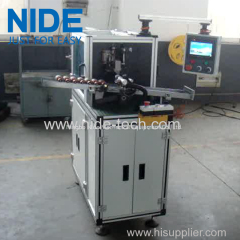 1.The wedge inserting machine is used for inserting the wedge into armature slot. 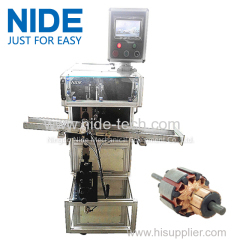 This wedge inserting machine is suitable for armature with O.D:20~60mm. It can cut, form, and insert wedge automatically into armature slot. 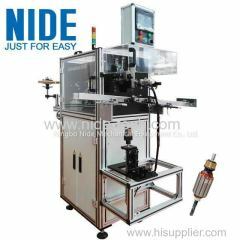 1.Used for inserting the wedge into armature slot,only load and unload armature manually, automatic indexing and inserting. Group of Wedge inserting machine has been presented above, want more	Wedge inserting machine and Wedge inserter, Please Contact Us.